Will the Real ADT Please Stand Up? Explaining the Dealer Program. There was so much interest in my recent post on ADT purchasing Brink’s/Broadview Security (here’s a convenient link) that I’m going to address a question we hear a lot: “What is the deal with the ADT Dealer program?” ADT runs one of many alarm dealer programs: some were started by alarm manufacturers (like GE, or Honeywell) and others were launched by the alarm companies themselves, like ADT, or Brink’s/Broadview. ADT’s Authorized Dealer program is the largest in the US. These programs create new alarm accounts, partially to offset customer cancellations for service and other reasons. In ADT’s program, an independent alarm dealer does the marketing, selling, and installation – and then sells the account to ADT. That’s right: ADT writes a check to “buy” your account from the Authorized Dealer, who has to “guarantee” the account for one year. The dealer markets under the ADT name, so to the consumer, the ADT dealer looks pretty much like ADT. The monitoring and ongoing maintenance are done by ADT. Dealers go through a vetting process to join the ADT program, and the rules have evolved over the years to keep ADT’s brand out of trouble. One of the real benefits of buying a system from an ADT dealer is that it usually costs less than purchasing the same system directly from ADT: that’s right, you can get an ADT-branded system for less money from an Authorized Dealer than from ADT itself, since ADT is “buying” the account – and the accounting rules are different when ADT does that. Don’t forget that Tyco (ADT’s parent) is a public company – so earnings-per-share are important! Here’s where I caution you to look under the hood. 2) They also tend to be anonymous and notoriously cost-driven, with less long-term interest in the account – that first year guarantee is the most important thing to them. 3) In a constant cycle of “create/sell-create/sell,” dealers are more likely to use cheaper, older versions of hardware (like the GE Simon 3, which I call the “baby monitor,” vs. the newer GE Simon XT). 4) They normally focus on “traditional” outmoded landline systems and basic services. It’s all about quick turnover, whereas the company who takes a long-term interest in you should provide the latest equipment and features – such as cellular monitoring and interactive services – to keep you as a happy customer as long as possible. So, if you are shopping for peace of mind, and you find yourself talking to an authorized dealer, make sure you get the name of the actual company – and check their reviews. (Here’s an interesting link about an ADT dealer customer experience.) Then make sure you are getting the best equipment and services. FrontPoint Security comes up against these programs all the time – and once folks do their homework and make an honest comparison, it’s not that hard to make the right choice. 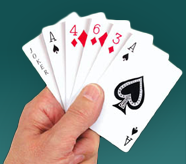 We’re not saying that going through a dealer is necessarily a bad deal – we just want to see you holding the right cards! Do you know what type of commission ADT dealers get for per account, or how much they buy it for? In addition, is it an outright sale or is there a revenue share component involved in the commission? Derek – Thanks, and these are good questions. To get the latest information on the ADT dealer program, you will need to contact ADT directly – or perhaps one of their other dealers could fill you in. In dealer programs generally there are several variables that may come into play in determining the commission per account: the credit score of the subscriber; the up front payment (i.e. the amount of equipment the subscriber buys); the type of services the subscriber orders; the length of initial contract agreement; and how many accounts you are regularly selling to ADT (or whomever). It’s a very competitive landscape for dealers out there, with some of ADT’s competitors putting upward pressure on the purchase price for an account. And there is plenty of competition for good dealers among the major companies that have dealer programs. Have you heard any horror stories from dealers who have signed up with ADT and have had a bad experieince? I am in the process of becoming and ADT dealer but would like to know what happens when things go down the wrong way on the tracks. Raul – Thanks for your question, and it’s a particularly good one. I have known many ADT authorized dealers over the years – including a number who are still in the program. The reviews are mixed: ADT’s program has gone through a number of evolutions, with changes in the terms and the general requirements, and this has often been the cause of significant frustration for some of the dealers. Perhaps the single most important thing to know is that ADT has a reputation for being inflexible, to the point of being rigid: it’s generally thought to be “their way or the highway,” in the dealer program. So, you may want to make sure you read everything very carefully up front, and not put faith in the idea that if things do go awry, you might be able to work it out with them later. They spend more on lawyers than you do! One thing that can be a concern: it’s usually expected that you will guarantee that any accounts you sell them will remain in good standing for one year, or ADT reserves the right to charge you back for what they paid for any accounts that do not make it that long. If there are service problems caused by ADT (ADT generally takes over the service on these accounts 30 days after installation) that cause a cancellation, that’s should not be your fault – but you are still responsible for that account. This could have changed, but I think it still works that way: worth checking out and asking the question. Good luck, and thanks again for your question. Yes, this is a super important distinction that people need to be aware of. Great job with this post! As you say, not because all dealers are bad, but there are RELATIVELY few really good ones. In most cases, probably just easier to go with ADT directly, IF you plan to go with them at all.